Celebrate setting down the phone with some new swag. We're not sure if you've heard, but Georgia has passed a Hands-Free law that will go into effect July 1. This law aims to keep drivers away from their phones while swerving through Atlanta traffic, but it's also an opportunity to outfit your customers with some sweet hands-free swag. 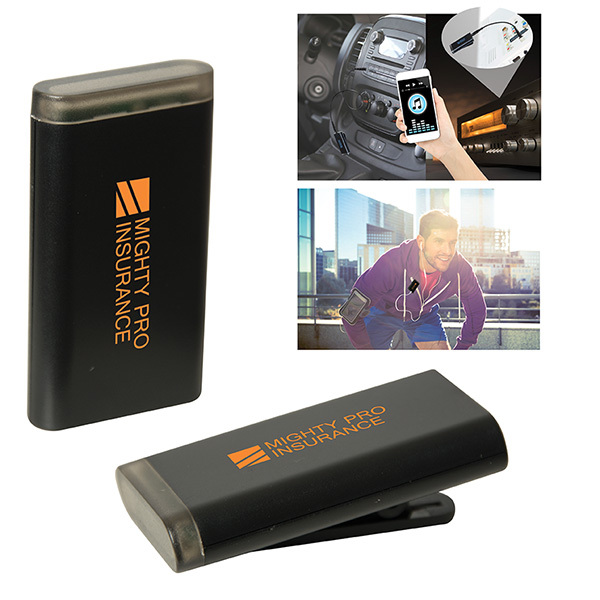 Just because they can't take a driving selfie doesn't mean they can't hook up a handy phone mount branded with your lovely logo. Check out some of the coolest swag available at The Icebox that will get your fan base ready for the roll out of this new law. 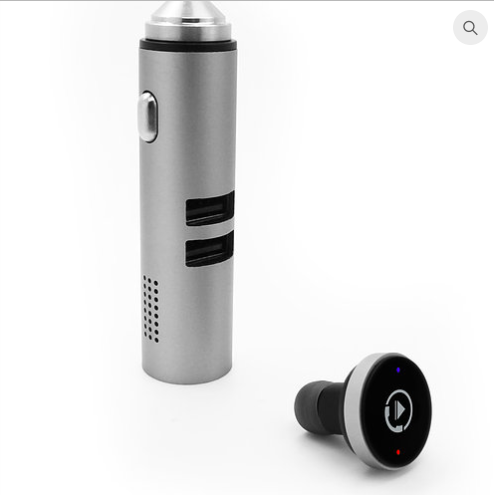 This honey of a device will fit right in with the dedicated motorist who doesn't want to stop listening to their phone when they turn the key. It'll keep your phone nice and safely away from your hands while still pairing whatever headphones you prefer to driving directions or your favorite podcasts. Complete with a standard headphone jack, Bluetooth, and a microphone, this receiver is perfect for phones without a headphone jack. It will provide a chill three-hour battery life at maximum volume and includes a micro USB charging cable. And just picture your companies branding all over it. Beautiful, right? Georgians won't be able to handle their phones, but they'll still need directions. That's where phone mounts bravely step up and offer drivers a hands-free way to keep an safe eye on Google Maps. The Clip-IT Dashtop gives phones of all shapes and sizes a chance to relax on the dash. Securing your precious phone with non-skid rubber grips and 3M adhesives, the mount has an articulating ball socket that allows for either landscape or portrait viewing. And all this while offering a prime piece of real estate to highlight your brand. Let's be honest: commutes are long, traffic is terrible, and sometimes you need to take a phone call in the car. Luckily, Talky lets you do that without putting you on that legal naughty list. Not only is Talky a powerful charger, complete with two USB ports, it also includes a wireless in-ear headphone with a built -in microphone that pairs easily to your phone. That's right, my dudes and dudettes, Talky lives up to its name by giving you a hands-free option to take your calls all while keeping everything nice and charged. You also won't be breaking the law while chatting and charging away. What a dream. These choice bits of swag will soon be high in demand by Georgia drivers. So get an early swerve in this lane and be ready to meet their needs with some great promotional materials courtesy of The Icebox.